All people no matter what their abilities, are sexual beings. There is a common misconception that people with a disability are child like and non sexual, possibly asexual or even heterosexual, but certainly not diverse in their sexuality or gender. 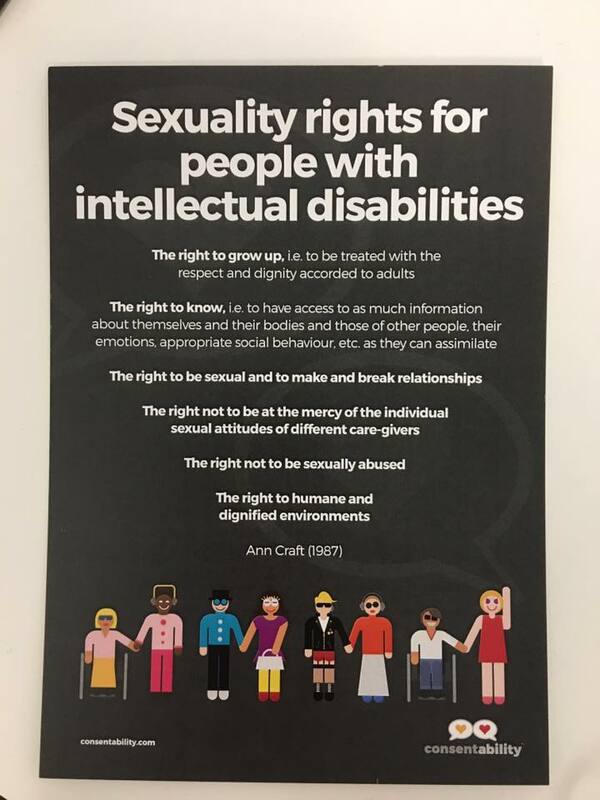 That any sexual expression is a behaviour to be managed, this is particularly so for those people with an intellectual or developmental disability more so that a physical one. There are many great resources for people with a variety of disabilities, from educational books and films, to equipment to facilitate sexual activity. Over time I will list these here or in the resource section.